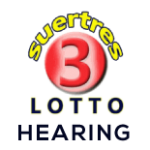 Here we upload the latest Ez2 Lotto Today Result 09 August 2018 along with Swertres Hearing and History. PCSO Ez2 Lotto result gives you the best opportunity to earn money and to support your lifestyle. This is the 2D draw of Philippine lotto if you want to check results keep visiting. We update our website according to the official PCSO draw. Our team is so much active to upload all the PCSO results daily on their specific timings. As today we update the PCSO Ez2 result of 09-08-2018.